Ever wish that you could work out by sitting and staying in in the same place? Well, you can with spin classes! Lately spinning has become very popular with cyclists — as well with as people who aren’t familiar with cycling. It’s a great workout that can be quite fun with a great instructor, bumpin’ beats, and some friends! 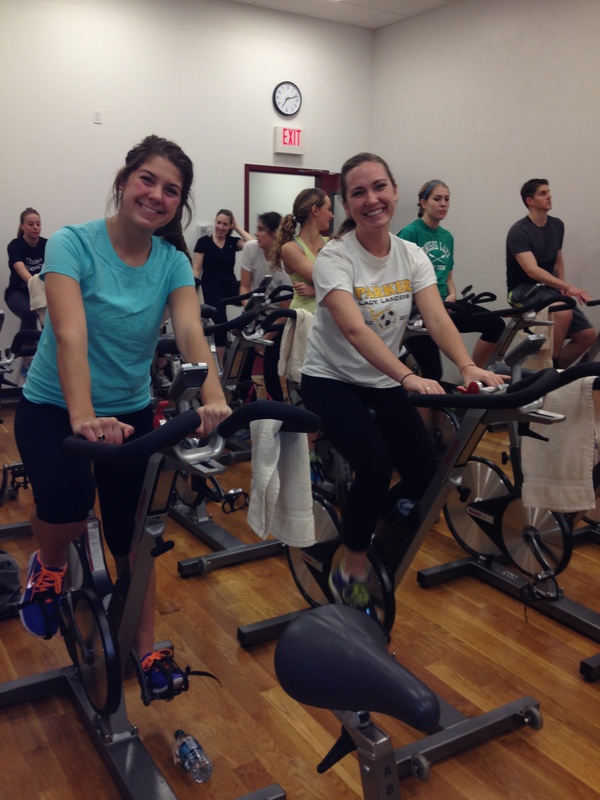 My roommates Kayla and Roz tonight at spin! One of my roommates, Brooke, just became a certified spin instructor this summer, and she now teaches classes at our school’s gym. The rest of my roommates and I attend her class each Wednesday. It’s fun to switch up my training routine and do a group workout. 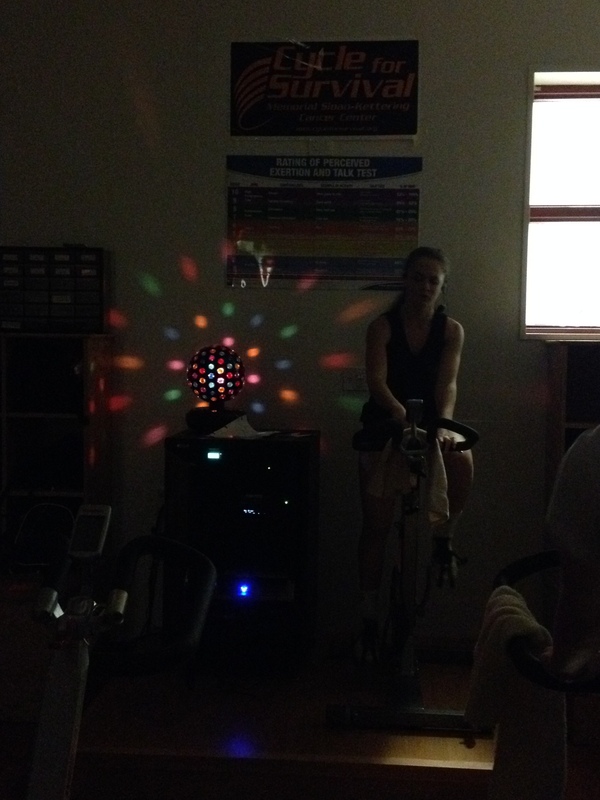 However, if you think spin class is going to be easier than your normal cycling workout… you will be proved very wrong. I find spin especially challenging and am usually sore for a full day after. What’s great about spin is that you can make it as hard or as easy as you desire. Being a competitive individual and having that triathlete blood in me, I push it as hard as I can in every class. Each week I try to increase my total distance by at least a mile! Brooke is an awesome instructor and she keeps you busy the entire class. Between mock hills, speed intervals, and competitions, the class is never boring. Shop around your area and try out different instructors. See which one fits your workout style and build spin into your weekly training schedule! Classes are usually available at local gyms. Have you tried a spin class before? Let us know!